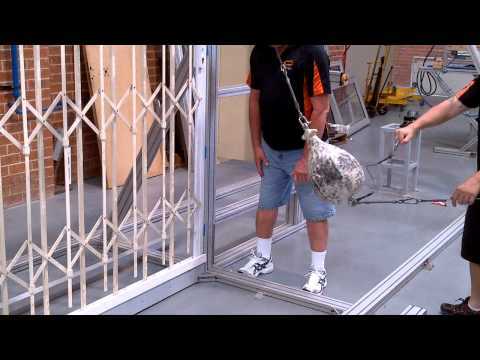 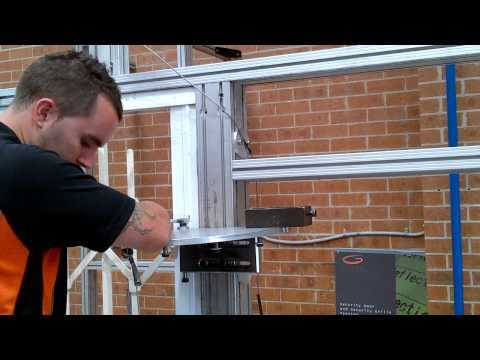 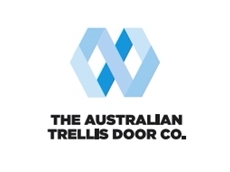 The S04-1 mobile trellis security from The Australian Trellis Door Company is an entirely trackless barrier access system. 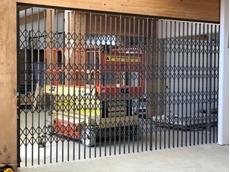 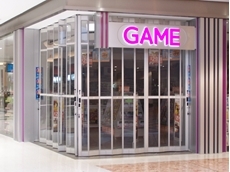 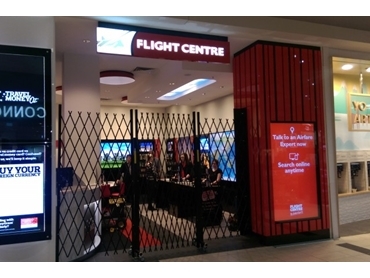 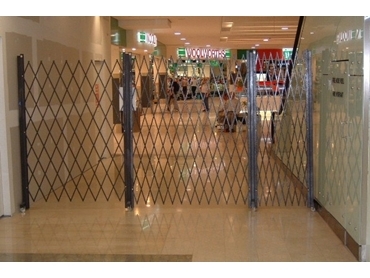 The mobile barrier system is ideal for use in retail and commercial security. 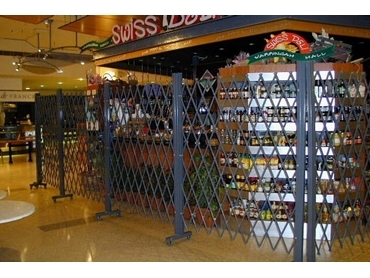 The barrier system is manoeuvred through a series of trolleys that have been reinforced with steel, while still being able to be rotated or pivoted up to 270 degrees. 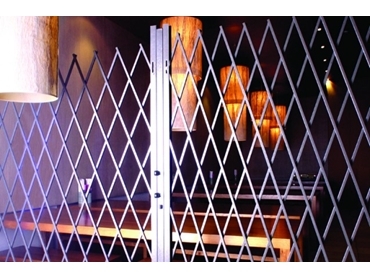 Compliance with Australian Standard AS 4687-2007 for Temporary Fencing and Hoarding in certain circumstances-see certification attached. 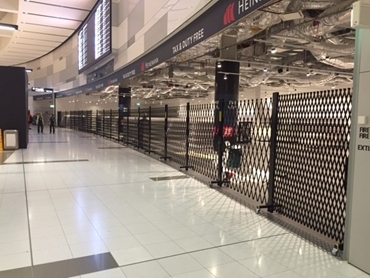 ATDC’s trackless barrier has a detailed and independently audited WHS Risk Assessment for workplace health and safety reasons-see copy of written report attached.They also have a detailed set of instructions for the safe operation of its mobile trackless security barrier-see attached. 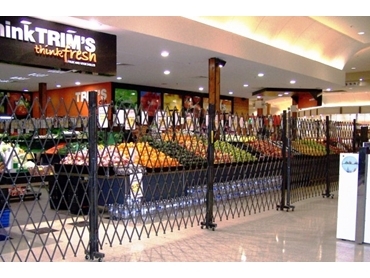 The Mobile Trackless Barrier System can be wheeled away and stored anywhere.This provides extra stability and security and peace of mind. 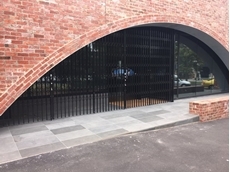 14/04/19 - A retractable commercial security door from ATDC was installed at the entrance of the Baptist Church Community Hall in Miller Street, West Melbourne. 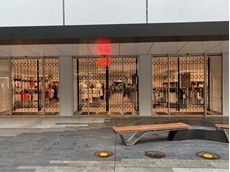 06/02/19 - ATDC’s stylish retractable security shutters in a night sky powder-coated finish were installed across three adjacent shopfront windows. 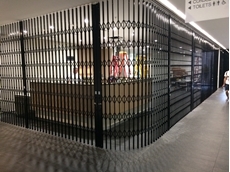 13/12/18 - ATDC recently installed their S05 commercial grade retractable security doors at Lisieux Catholic Primary School in Torquay, Victoria. 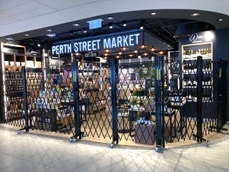 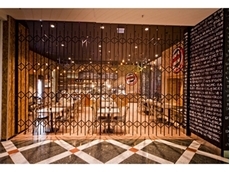 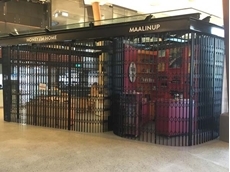 22/11/18 - The Australian Trellis Door Company installed several curved trellis security doors for various tenancies within the Market Hall in Yagan Square, Perth.